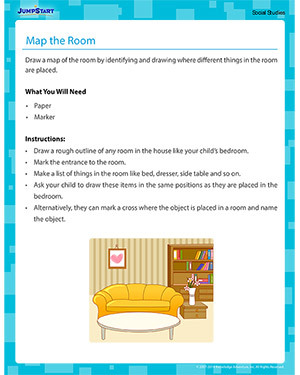 Kids can get started on drawing simple maps with what they know best – their own home. This free printable activity helps you take your kids through the map-making process which will enable them to read, understand and draw more complex maps. Discover other free activities that make learning fun for kids!